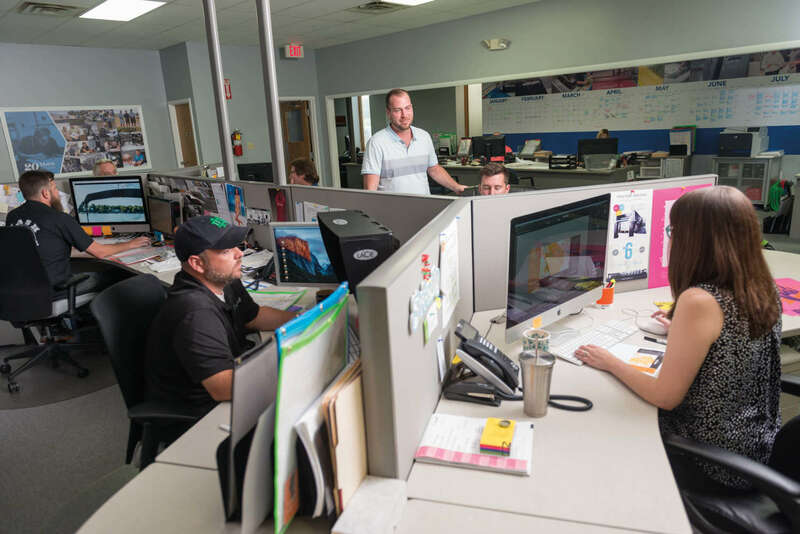 Excell’s pre-press department ensures that every job—before it is put on press—is accurate, clean, built correctly, and color correct. 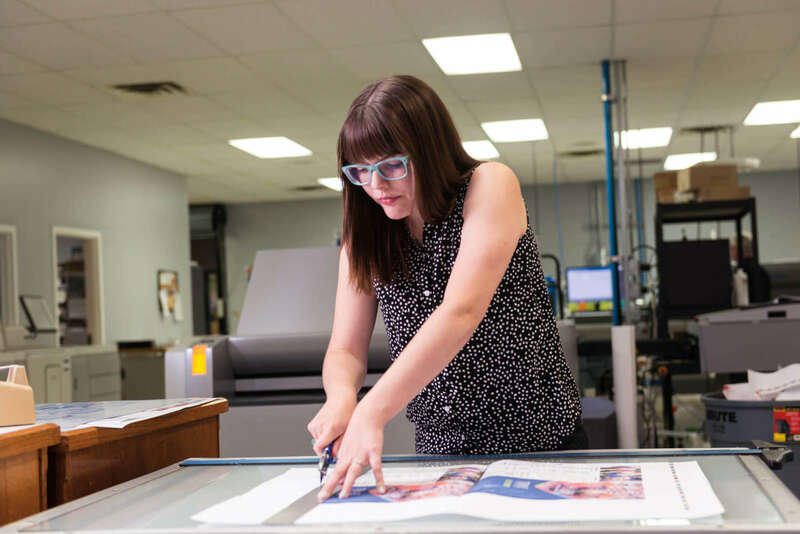 When files need major corrections or retouching, pre-press works with you to ensure satisfaction at every step. 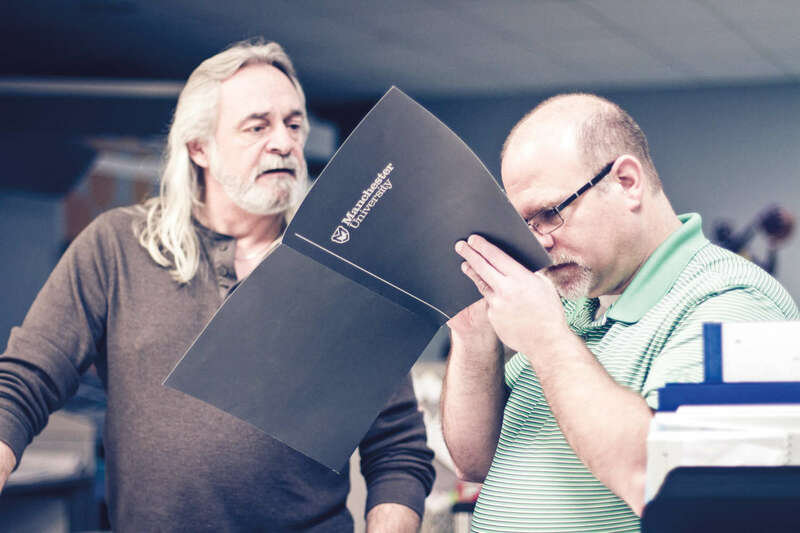 After all, our pre-press technicians understand that each job comes with its own set of unique specifications to meet and expectations to exceed…yours. 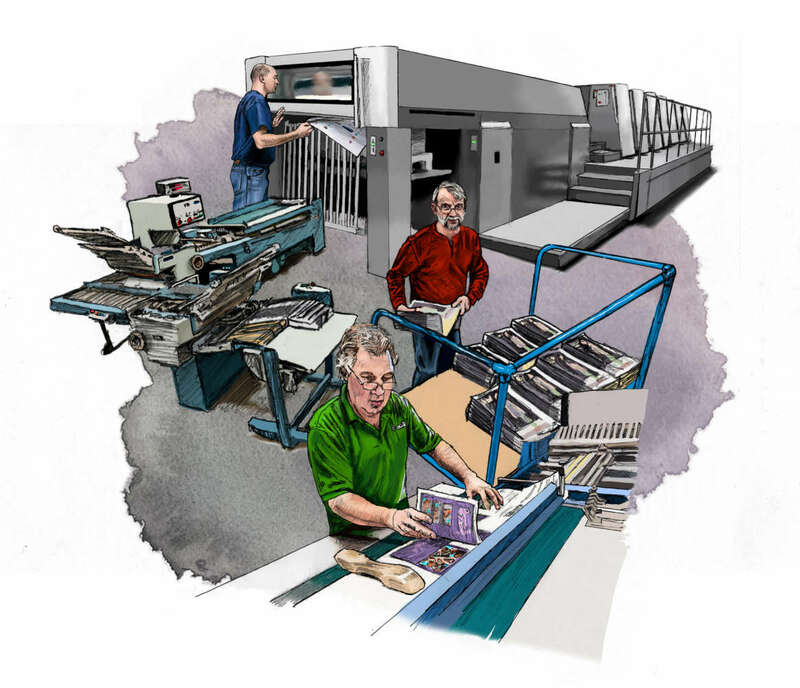 Our pre-press team has over 75 years of combined experience. 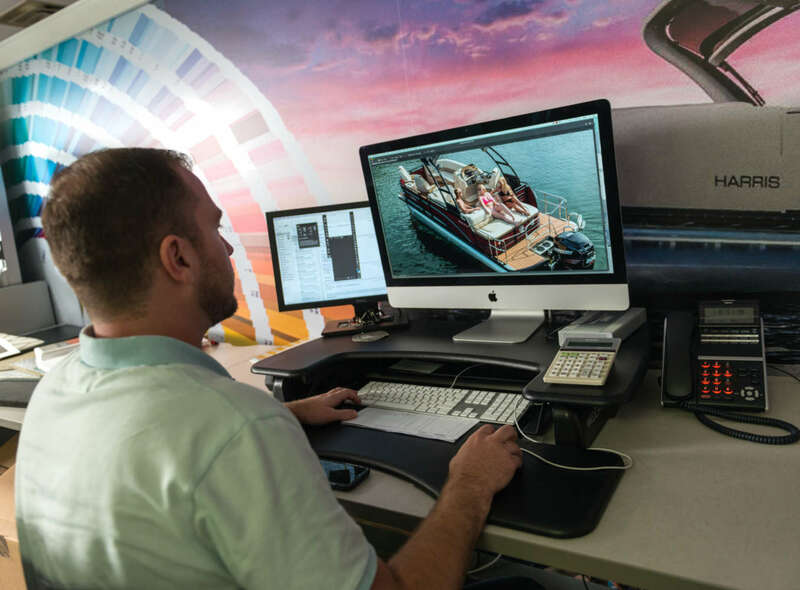 Illustration created by one of our prepress technician/graphic design hybrids, Rob. 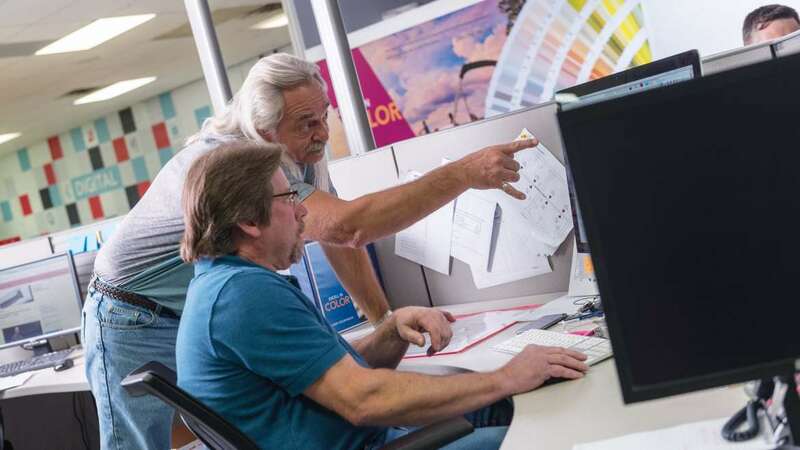 Part-Owner, Jim, and prepress technician, Paul, evaluating a job. 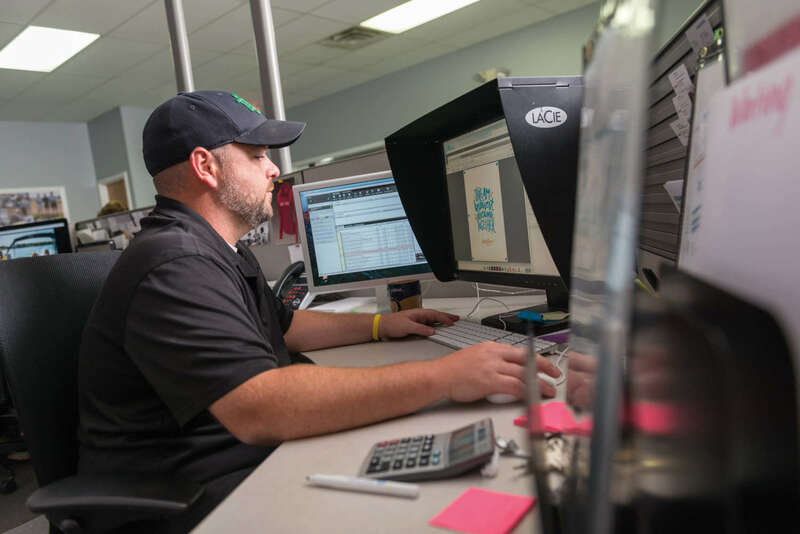 Kevin is a pre-press technician, graphic designer, and digital pressman. 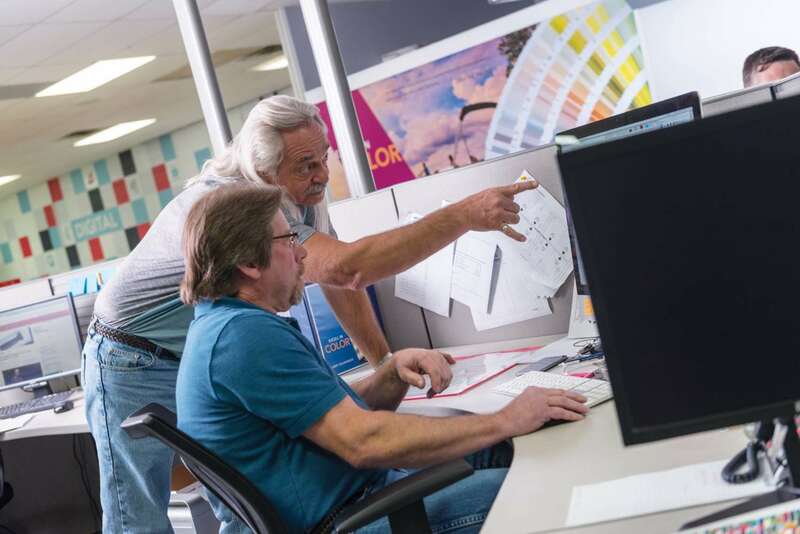 Get the best color match using our light booth. 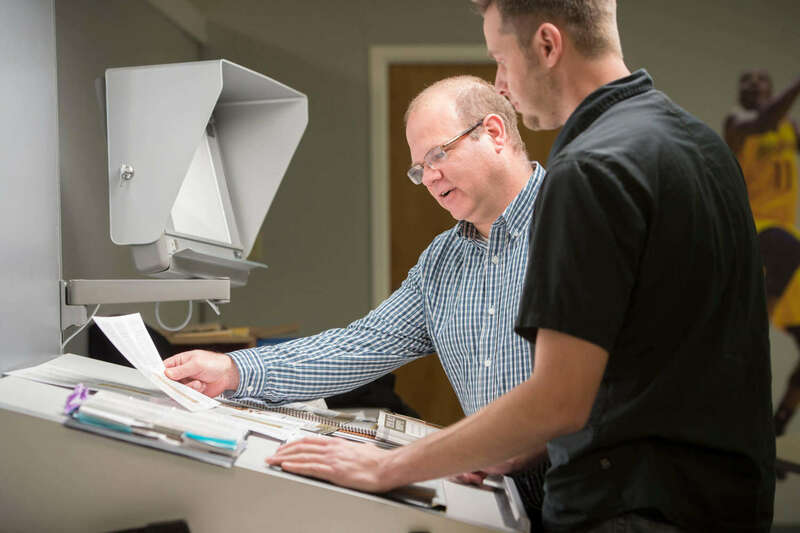 Our pre-press team has a combined experience of over 75 years.